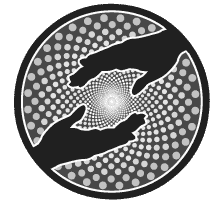 CBD Oil Review rates Highland Pharms with two stars because it qualifies for the Quality and Mission Badges. Highland Pharms believes in living “with” nature, not being at odds with it. It’s a creed we can get behind, and we see it embodied in their sustainable choices and organically grown pharmaceutical hemp. Whether it’s CBD oil for stress or joint support, Highland Pharms has something for everyone with a great product lineup. We have a bone to pick with a couple ingredients, but overall, we like what we see here, including their decision to forego PG in their vape oils, their raw CBD extract, and more. Co-founders of Highland Pharms, Luke Johnston and Eliot Harris, started the company to give people a healthy, natural alternative to pharmaceuticals. In fact, the company admits they wish the pharmaceutical companies would just “go away” due to terrible side effects that many experience every day. Luke Johnston lost a long battle with illness in 2016, but CBD oil played a big part in his quality of life. The company carries on his legacy and spirit and still considers what his input might be when making decisions. The Highland Pharms story is genuine and heartfelt, a borderline tear-jerker. The company gets its name from the location of the headquarters in the Highland Lakes region of Texas. Highland Pharms is committed to quality, sourcing organically grown hemp from Colorado and utilizing CO2 extraction to procure their CBD oil. They get bonus points for sustainability by using biodegradable packaging made from potato starch. CBD Oil Tinctures with MCT Oil; mint and strawberry flavors are 100% natural! CBD Gummies – Hold the phone! It’s not everyday we see gummies this top notch. Zero artificial flavors used, and the all-natural coloring comes from organic carrot, pumpkin, black currant, and apple concentrate. Delicious! CBD Vape Oil with Terpenes – We applaud Highland Pharms for not using PG, a common ingredient in CBD vape oil. While widely thought to be safe, research indicates it may be toxic, and PG has been documented to cause irritation and other issues. HEMP Plus Vape Oil – This one contains organic polysorbate 80. Polysorbate 80 is an emulsifier that is chemically treated and an ingredient we always call out. We’ve never heard of “organic” polysorbate 80, and we’re cautious about that designation. CBD Hemp Cream and Lotion – Optiphen, a chemical preservative containing phenoxyethanol, and polysorbate 60 are lurking in these. Despite some of these chemical additives, all in all we like the Highland Pharms product lineup. They came very close to receiving the Safety Badge since they do have CoAs posted for each SKU. Unfortunately, some SKUs only contain purity tests and lack results for contaminants like pesticides and heavy metals. 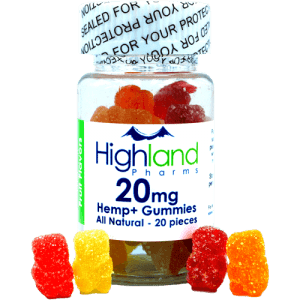 Bottom Line – Highland Pharms has a heartfelt and environmental ethos, they use high-quality CBD oil, and they have cool products like 100% natural gummies and raw extract. Posting test results for contaminants and charity involvement will give them a leg up. 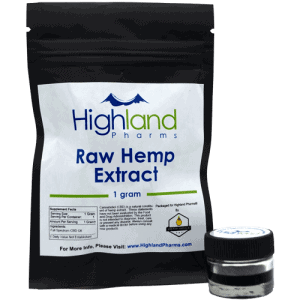 Non-GMO, organically grown industrial hemp from Colorado is CO2 extracted for all Highland Pharms CBD products. Highland Pharms believes in harnessing the power of plants for natural remedies to help boost health and quality of life. I tried their 50mg CBD capsules and they worked very well. Didn't get sick and felt great. I've tried 3 different company's CBD product offerings so far, won't name them but Highland Pharms was one of them. I'd rate Highland tied for first place, maybe actually solidly first place, as far as product effectiveness is concerned, but 2nd place for price. Unfortunately for them, the one that tied them in effectiveness is also #1 for price, so I currently buy from them instead. But Highland Pharms is for sure a solid product in my book. Had no problems with shipping or anything. Highland Pharms stiffed me out of $125! No product, no money back. Zero stars from me. I'm a first time user of CBD. I have suffered from Idiopathic Peripheral Neuropathy(not from Diabetes), fibromyalgia and other diagnosed Autoimmune disease for 20 years. My intake of narcotics had increased and was becoming ineffective. After much research, I ordered 500mg CBD oil with mint from Highland Pharms. It came in the 3 days time promised. The best dosage for me to start with was 25mg and it worked well. My afternoon dose was not as effective probably because I forgot it and by the time I took it my pain level was too great to get back under control. My meds are less than half what I was taking. This next order is 1275mg and I will try a 2nd and 3rd dosage. Hopefully doing this will eliminate pharmaceuticals completely! 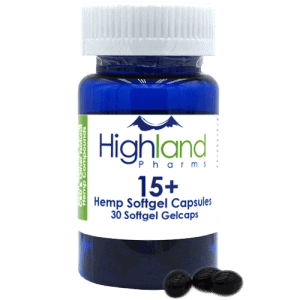 So far Highland Pharms CBD Oil has worked perfect and I hope the higher dosage will last longer.